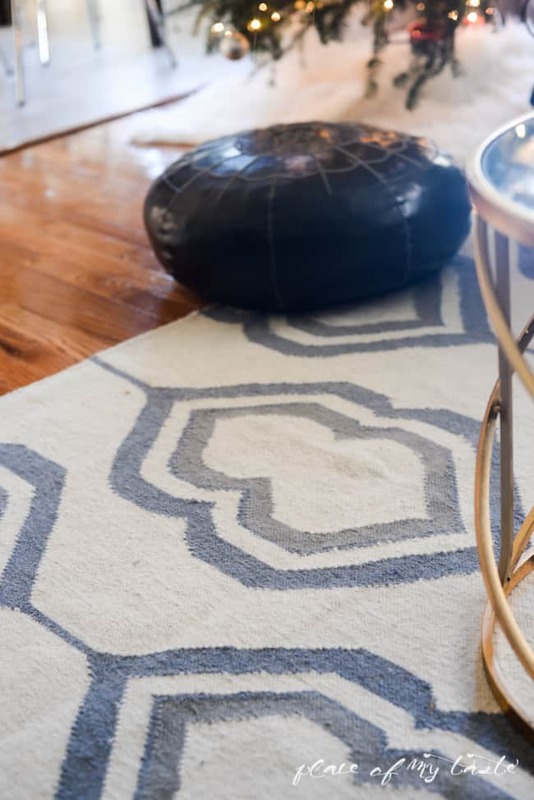 This post brought to you by Rugs-USA.All opinions are 100% mine. 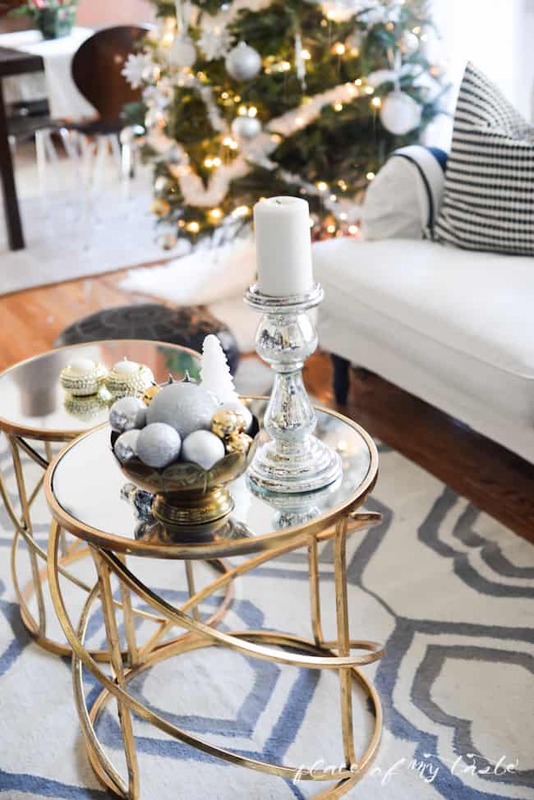 I shared my Christmas home tour this week and today I wanted pop in to share a little bit of our new living room and new gorgeous rug from Rugs USA. Since we moved into our home we have had a few different designs in the living room. I like to change things around the house and sometimes i sell older pieces that I am not crazy about anymore and bring in a fresh look. 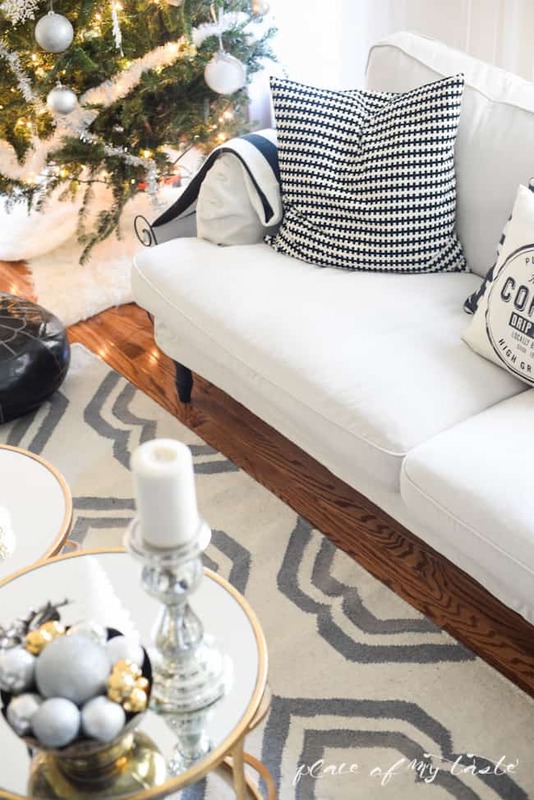 We purchased a white sofa way before we had kids, then after my first kid was born I got rid of it and got a faux leather sectional. It was good and very practical but it was way too big for our small living room.. I was lucky to sell that piece on Craigslist for a really good price and we quickly reinvested the money in a new sofa from IKEA. Now I am back to the light colors. My kids are now at the age when they understand that there is no eating and such in the living room so I was pretty confident buying the lighter color sofa. I got a few new pillows ( I already had the throw and a some pillows of these). After adding in these new pieces the only thing was missing our room was a rug. I looked everywhere and I found the perfect rug that me and my hubby really liked. on RugsUSA website. Rugs-USA was kind enough to provide me with their amazing rug. 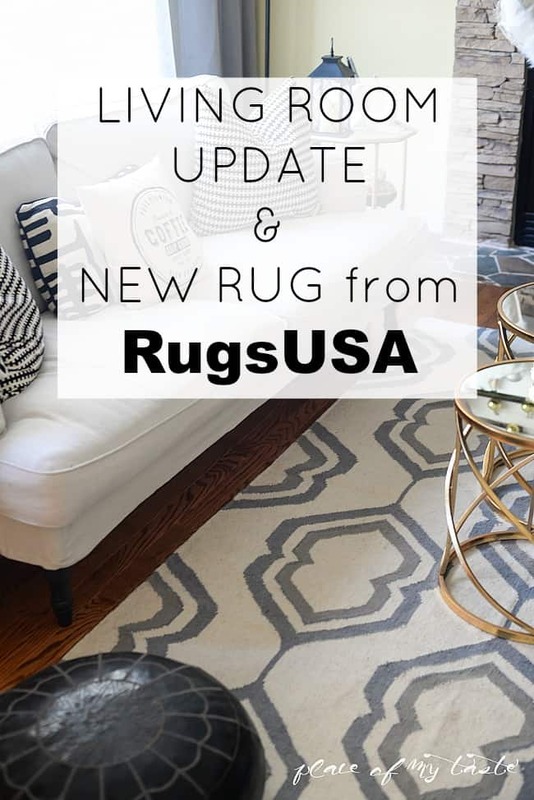 Have you ever browse Rugs-USA’s site? Oh, man. There is so many different styles and patterns. 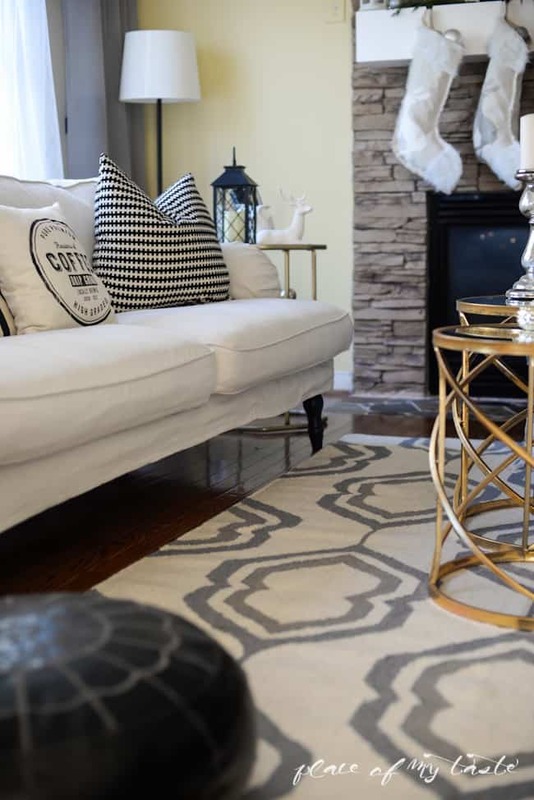 I almost could not decide.I chose the SAVANNA FLATWOVEN GREY RUG. 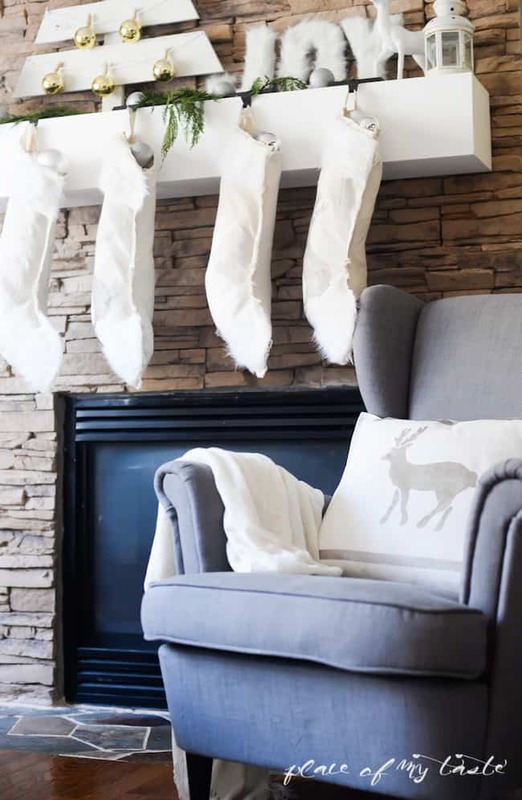 It’s 100% wool and and super durable. The pattern was what caught my eye online. I opened my rug, rolled it out and it was ready to shine in our living room. I think this pattern and color looks just fabulous with our white sofa and our new nesting tables. 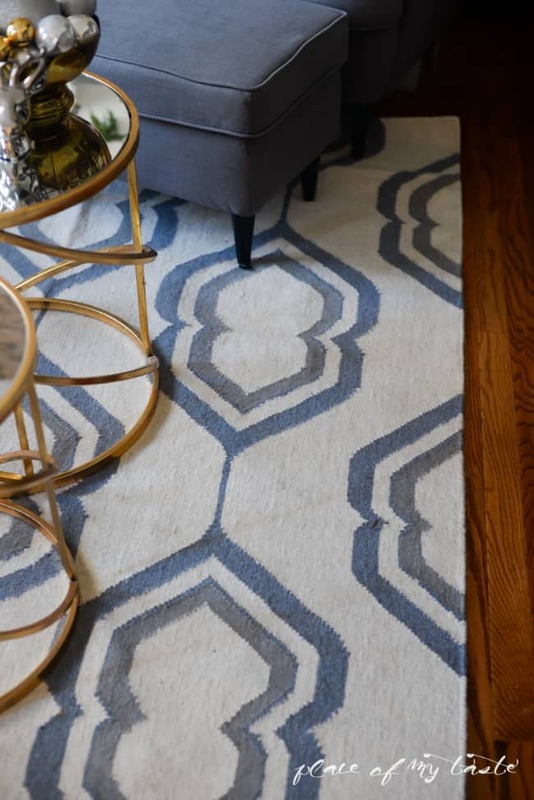 What do you think of our new look and gorgeous rug? It feels great to spend time in out “new” room. Hope you all have a fantastic Friday and weekend! I want to live at your house! I love everything but I think that coffee pillow is my fav. Have a fabulous weekend, friend! Come, we have enough room-haha:-) Thanks for your visit Friend, have a fantastic weekend! Looooving that rug!! AND your home, oh my goodness, it’s gorgeous. Right out of a magazine!! Checking out your Christmas tour right now!! I love your new rug! Such a fabulous pattern- enough to make it interesting but not overwhelming in the space. Beautiful!! The whole room looks amazing Aniko- I love the new sofa and chair combo too!! Aniko, it’s like everything you touch turns to gold! 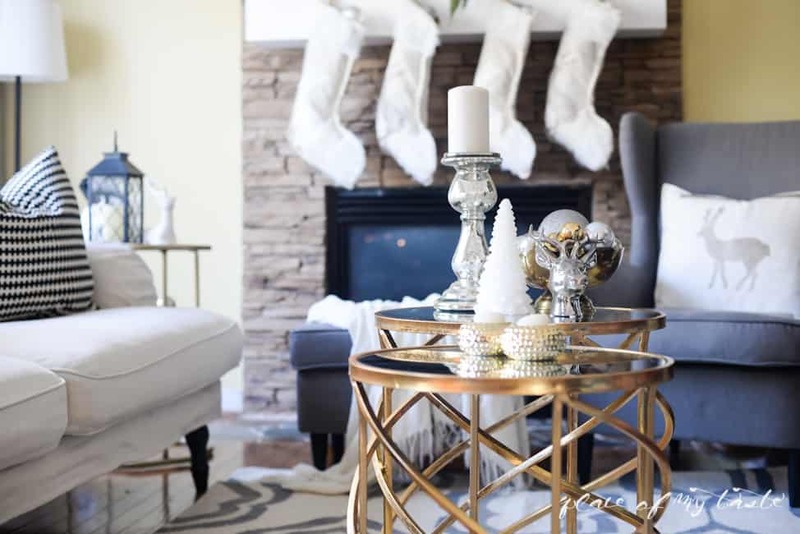 Seriously your decorating style, DIY projects and photos are always so beautiful and inspiring! 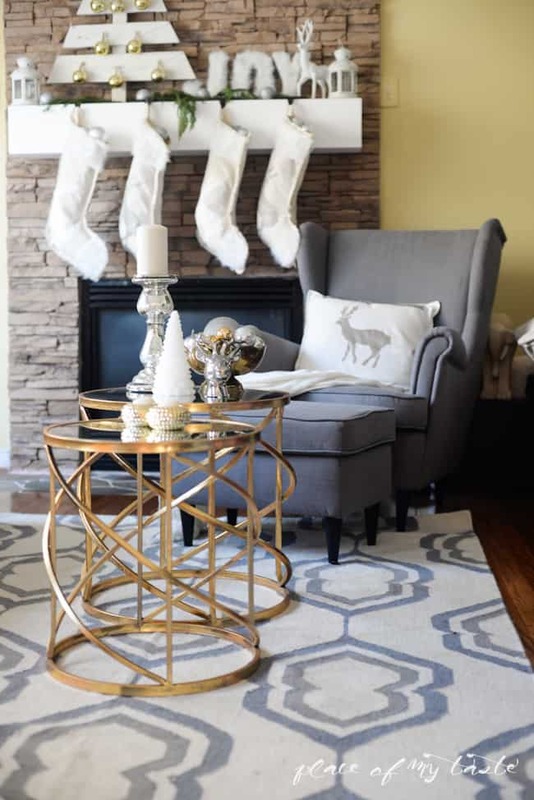 In fact, your living room update is being featured at The Makers Link Party this week, woo-hoo! Thanks for sharing and we hope to see you again this week! Happy Holidays!